If you want to see through objects, you could call Superman — or ask some engineers for help. 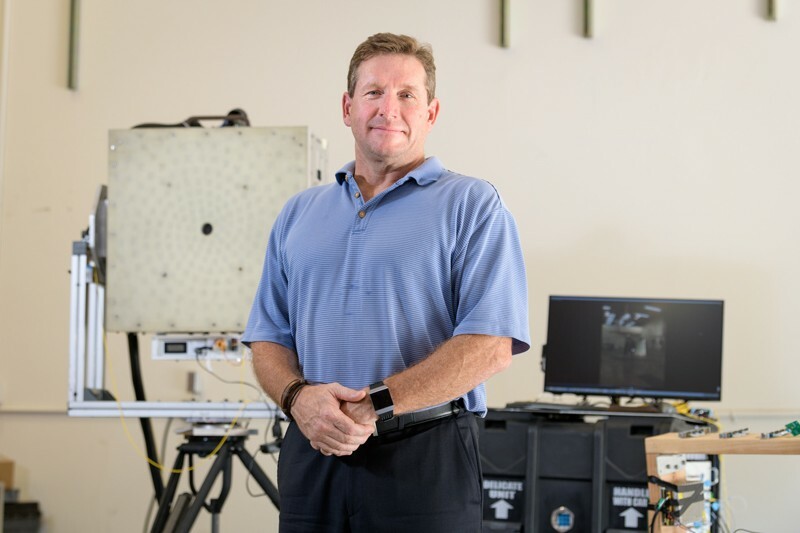 A team of engineers led by University of Delaware professor Dennis Prather, a recent inductee to the National Academy of Inventors, has developed a camera-like device that generates and detects millimeter waves to “see” through solid objects. These high-frequency waves, which are more energetic than microwaves but less energetic than infrared waves, are not visible to the naked eye. The device developed by Prather’s team “sees” millimeter waves, producing images as energy is reflected from objects in its path. Like a portable version of the scanners at airport security checks, this device can see through non-metallic objects and detect concealed objects. For example, if someone is hiding a metallic weapon under their clothing, this device will spot it — a functionality that could be useful for military operations and improved security in airports, schools, restaurants and more. A team led by Dennis Prather, Engineering Alumni Professor of Electrical and Computer Engineering, has received $1.5 million in funding from the Department of Defense to build a new, lighter version of their millimeter wave imager. Prather, Engineering Alumni Professor of Electrical and Computer Engineering, has received $1.5 million in funding from the Department of Defense to build a new, lighter version of the device and imaging system by next summer. As the leader of this project, Prather is mentoring a new generation of photonics engineers. Through his role as a UD professor as well as a co-founder of startup company Phase Sensitive Innovations, Prather mentors several UD students — undergraduates, graduate students, and young alumni. For example, in 2017, recent graduates William Beardell, Cooper Hurley, and Kyle Weidmann decided to explore the field of millimeter wave imaging for their Senior Design project. Each senior in the Department of Electrical and Computer Engineering participates in a year-long sequence of Senior Design. 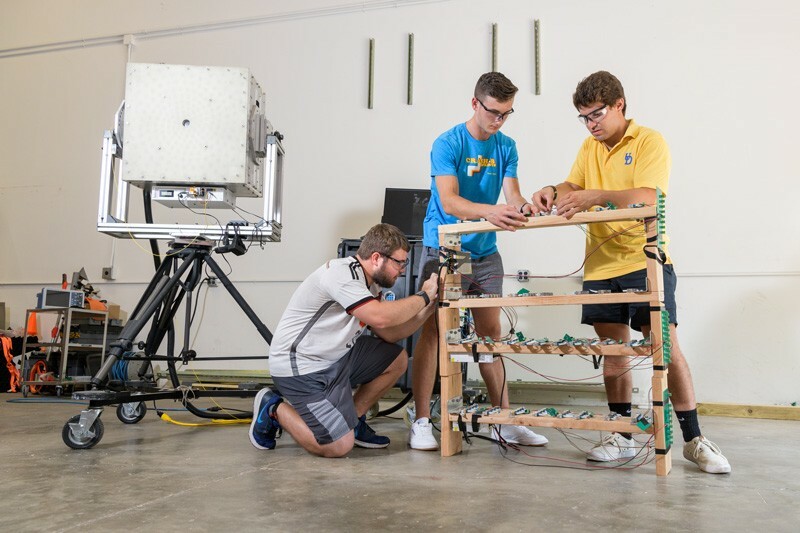 Using inspiration from industry partners or fueled by their own interests, the teams design and make systems and devices from medical devices to hardware for space flight. 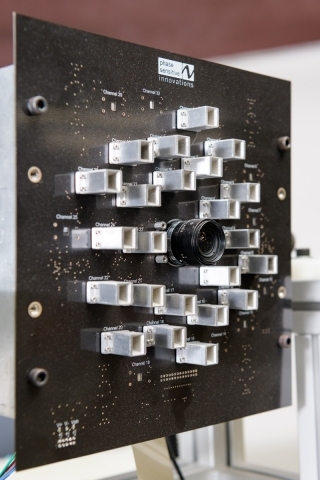 Under Prather’s guidance, Beardell, Hurley and Weidmann built the prototype of the illuminator for a millimeter wave imager, the very device the group is refining now. Their impressive results started with a modest pile of spare parts. The device developed by Dennis Prather’s team “sees” millimeter waves, producing images as energy is reflected from objects in its path. “Dr. 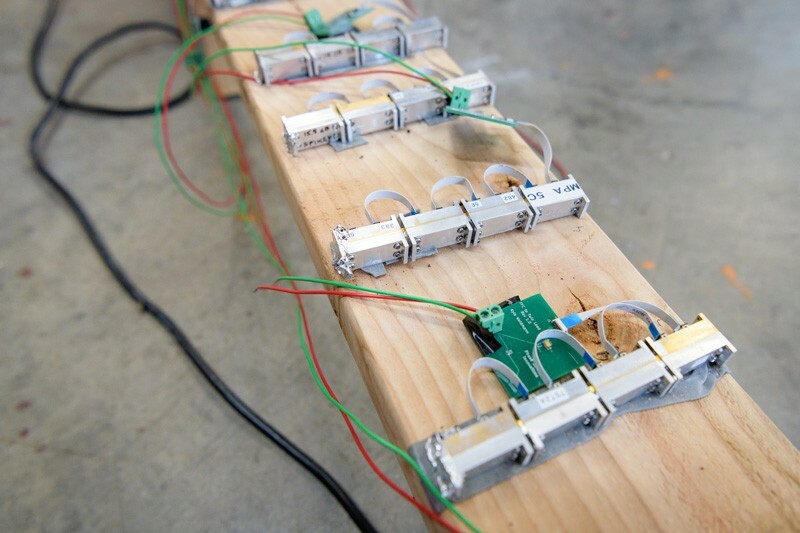 Prather told us that he had a couple of amplifiers left over from a project that had ended a couple years ago that he wanted to repurpose,” said Beardell. The team took them and fabricated them into an array that gives them illumination in a different sense than visual light. The teammates made their own circuit boards to power the device, a skill they had learned during undergraduate internships with Prather. Prather helped the students understand how electric fields worked in their system and guided them through the process. Now, Beardell and Hurley are staying on for doctoral degrees at UD and working with Prather at Phase Sensitive Innovations, which recently opened a 15,000-square-foot facility just a few miles from campus. “I could not be more proud of this team,” said Prather. Their concept has been validated experimentally, but now they need to make a real-world device. “That’s where engineering shines,” said Prather. Jesse Semmel started working with Prather in 2016. The rest is history. After Semmel graduated from UD with a bachelor’s degree in electrical engineering, he started working full-time for Phase Sensitive Innovations, designing circuits, circuit boards and systems. Chris Schuetz, co-founder and chief technical officer of Phase Sensitive Innovations and a 2007 UD graduate with a doctoral degree in electrical engineering, said the company is poised to grow, partially thanks to its relationship with UD. For example, this year, Phase Sensitive Innovations is sponsoring a Senior Design project in the mechanical engineering department. A team of students is working to reduce the cost of the next-generation components that go into the photonic systems produced by Phase Sensitive Innovations. As the company grows, they hope to be an engine for economic development in Newark, Delaware, the hometown of UD. 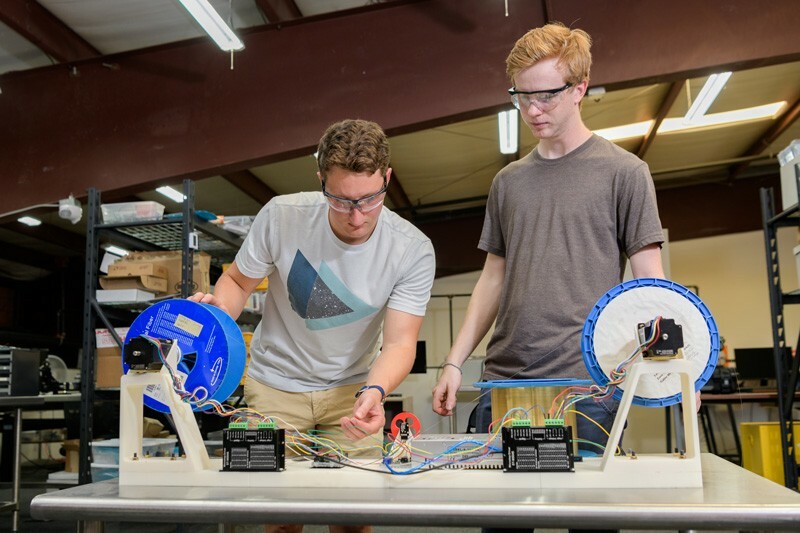 UD student Andrew Kacmarcik (left), a senior electrical engineering major and intern at Phase Sensitive Innovations, works with electrical engineering graduate student Sean Nelan.